Official WordPress Plugin for StatCounter – Statcounter Blog. For all you wordpress.org users out there, we’re delighted to announce the release of our official WordPress Plug-In – this will allow you to easily install StatCounter on your wordpress.org blog and enjoy the full range of StatCounter stats! We’ve also updated the install guide for wordpress.com to make it easier for you to add a html-only counter to your wordpress.com blog. How do I use the StatCounter wordpress.org plug-in? Click the wrench icon beside your project name. Click the ‘install’ code link. Follow the wizard and when asked for your web editor choose “wordpress.org”. Follow the remaining instructions and hey presto! How do I add StatCounter to my wordpress.com blog? Follow the remaining instructions and Bob’s your uncle! 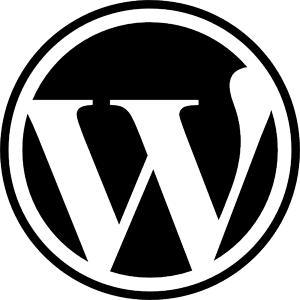 Wordpress.com is the version of wordpress that WORDPRESS hosts on its servers. This means that access to modify the blog template is restricted according to what wordpress allows i.e. you can only install the StatCounter html-only code. PS: Thanks to Luke Stevenson for developing the first StatCounter plug-in for wordpress! Update: Any problems installing the plugin? Let us know! A few members had trouble installing the plugin. We believe this may have been a problem with the difference between return characters in windows and unix. If you try to download and install the plugin again it should work now. If it is still not working for you we would love to investigate the problem for you. Please send us the login details of your blog and server and a report of the problem you are experiencing. I have been using this plugin on most of my WP blogs. I find more comfortable working with statcounter instead of Google Analytics. Thanks guys. Keep up the good work. Hi Guru, I fell blessed that I found your post while searching for spyware program. I agree with you on the subject Official WordPress Plugin for StatCounter. I was just thinking about this matter last Friday. Hello Wow what a fantastic article about My Ip Adress! Your keen insight into My Ip Adress is informative and creative. I look forward to reading other articles you have. Thanks. I’ve been debating on whether to install WP on my website. I think with StatCounters new plugin it will be a no brainer. Thanks for your hard work guys!